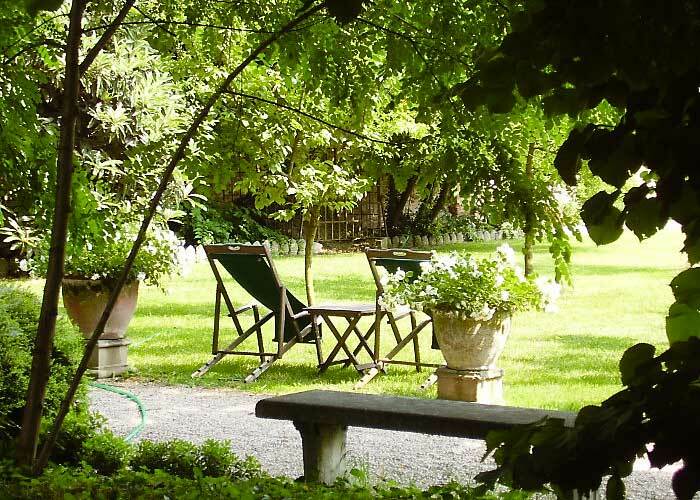 Hotel Villa Alberti is a charming period property, in which to experience the timeless appeal of Veneto's beautiful riverside residences. 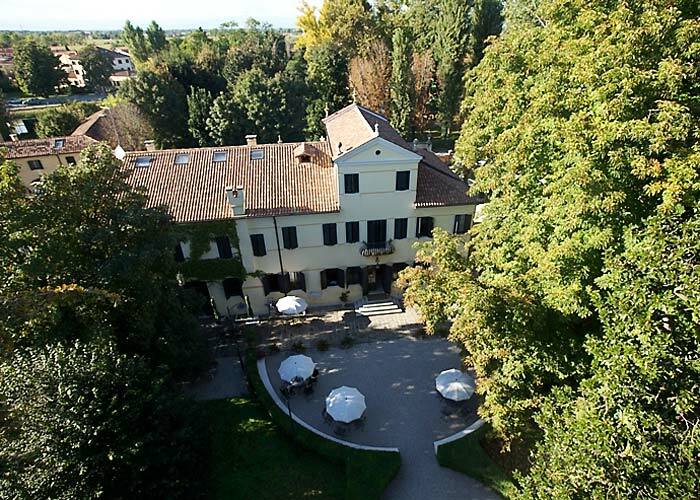 Villa Alberti is located in the town of Dolo, on the Brenta Riviera, close to the river which once served as important commercial waterway between Venice and Padua and where, from the 16th century onwards, the noble families of Veneto built a string of sumptuous summer residences. Subject of an extensive restoration project, behind the sober façade of Villa Alberti lies a building in which today's guests can expect to find both traces of the residence's patrician past and all the comforts and amenities of a modern hotel. 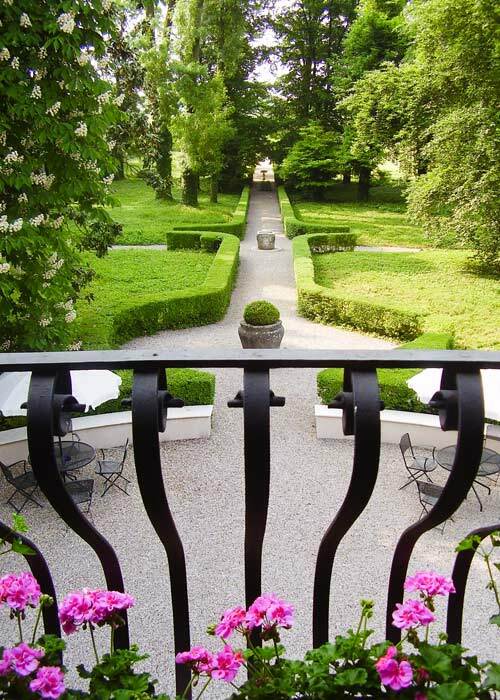 Hotel Villa Alberti's grounds have many of the features typical of the Veneto's traditional landscaped gardens. 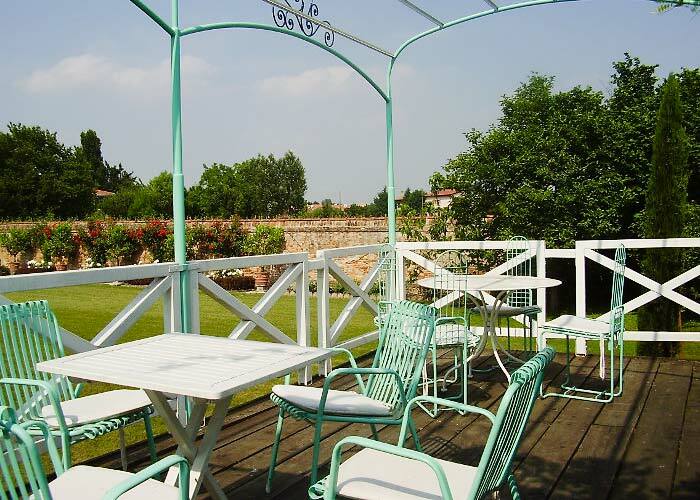 Within the estate's boundary walls, the century old trees, fruit orchard, solarium, statues and fountains create a wonderfully romantic environment in which guests are free to stroll and relax in the sunshine. 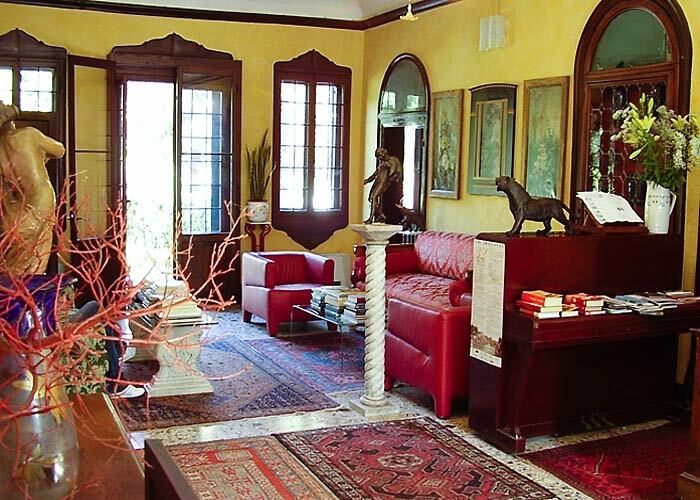 The interiors of the hotel still contain many of the villa's original period furnishings and artworks, all of which testify to the building's aristocratic origins. 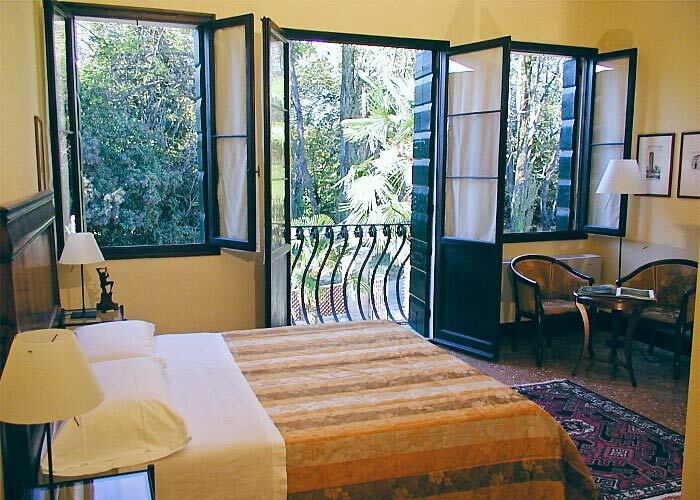 Guest bedrooms, located in the main villa and the "Barchessa" dépendance, are decorated in classic Italian style and equipped with every modern comfort, from air conditioning to internet connectivity. 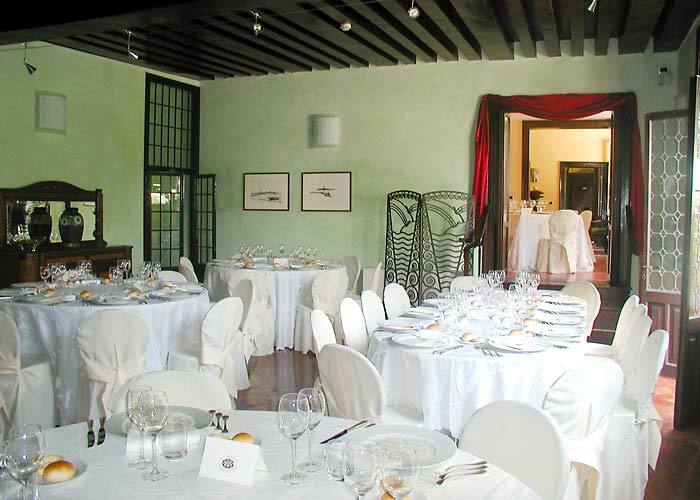 A restaurant and bar service is available for exclusive use by guests staying at Villa Alberti. A half board meal plan is also available, on request. 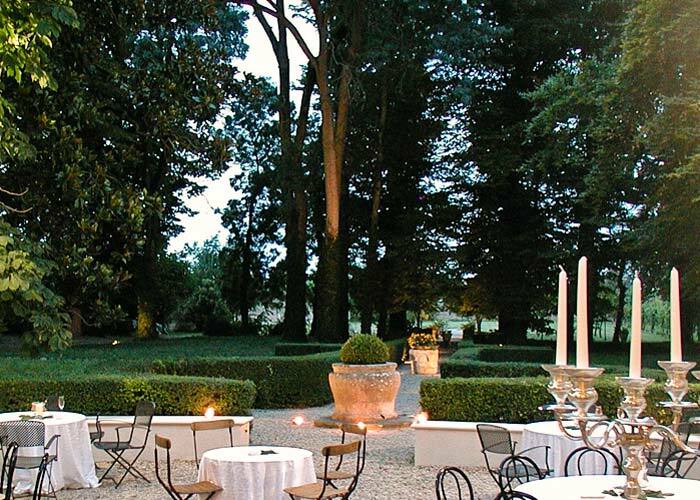 Villa Alberti's beautiful halls and gardens make the hotel a much sought-after event venue. The villa's versatile function rooms provide elegant spaces in which to host important business meetings and conferences but also high profile wedding receptions and gala dinners. 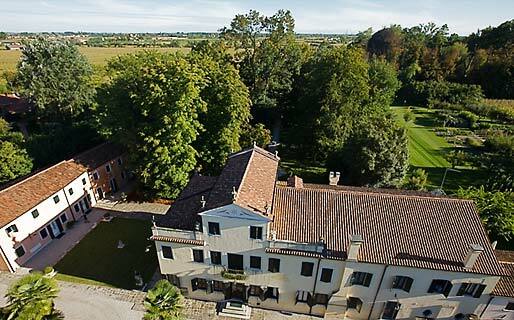 Hotel Villa Alberti is located in the small town of Dolo, on the Riviera del Brenta: the area traversed by the old commercial waterway linking Venice with Padua. From the 15th century onwards, members of the Venetian aristocracy built a whole string of sumptuous villas here, residences which today are part of the historic and artistic heritage of Veneto.The pretty little towns of Stra, Fiesso d'Artico, Mira, Fossò, Malcontenta are all situated within minutes of Villa Alberti. Both Padua and Venice are a mere 15 kilometers away.